In the middle of Holy and Great Lent, the Church places before the faithful the Honourable Cross of the Lord for us to venerate and draw strength from, so that we can continue the gruelling but lambent journey towards Great Week. This decision is judicious and full of meaning, my brothers and sisters. Because the Cross of Our Lord is the pre-eminent symbol of life and sanctification in our lives. Whereas, through the wood (that is the tree) of disobedience, Adam lost the delights of Paradise, through the wood of the Cross, the new Adam, Christ, has again opened up the gates of Eden to humankind. The sacrifice of the Cross is the means by which the great chasm created by human sin has been bridged and by which God has been reconciled to us. This is why the principal throne of Christ is His Cross, rather than any worldly dominion. The Cross, formerly the most degrading form of punishment for inveterate criminals, became the sign of extreme humiliation for Him on Whom the heavens gaze and tremble, and, thereafter, a sign of glory and power. The Cross is considered imbecility and foolishness by those who can’t understand how a God is able to love His creation so much that He would agree to die for it and, moreover, in the most demeaning of ways. The Cross, like the manger and the whole of Jesus’ life, remains the permanent sub-text for human salvation. Because it’s an ever-present reminder to conceited and arrogant people of the need for humility. Without humility, all the other virtues that people might cultivate will be precarious and in danger of disintegration. It’s only through humility that our spiritual struggle can take root, blossom and bear fruit. The power wielded by the Sign of the Cross is demonstrated also by its use as a means of sanctification. It’s through the Cross that the Church performs its ritual blessings and it’s the Cross that it uses to sanctify the creation. We make the sign of the Cross before attempting any task on which we want God’s blessing. The faithful make it every day, to start their morning, to fortify themselves with strength and patience in difficulties, to bless their daily food, to indicate their gratitude for the gifts from above. It’s the guardian of the whole world. My brothers and sisters. The path of salvation is difficult, long and arduous. It’s a path of suffering. Christ Himself warned us how narrow and full of sorrows is the way that brings us close to Him. But He Himself encourages us! He reminds us that He’s vanquished the world and that, with Him at our side, we too, can accomplish this. He reminds us that the great turnaround of the dishonourable manner of his killing, which led to His Resurrection, to His famous victory over death, can happen in our own lives, too. So let’s not be indifferent to the message of the Cross, which we’re invited to venerate. Let’s not disdain the great gift that God’s given us. Let’s be sure to sanctify our lives, to learn to be inspired by Christ’s example, to make our life an imitation of His. 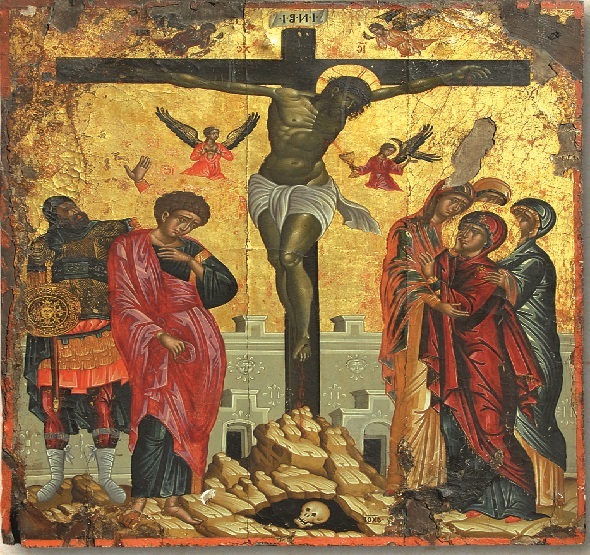 And let’s not forget that the grace of the Cross, provided, of course, it’s accompanied by human volition, vanquishes every earthly temptation.